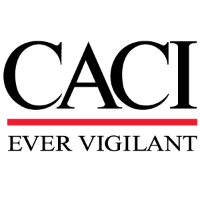 CACI Seeking a Project Operations Manager to support our customer in Ramstein AB Germany . Manages a large team or multiple smaller teams consisting of experienced professionals and managers with an OCONUS presence. Responsible for making moderate to significant improvements of processes, systems or products to enhance performance of job area or demonstrates technical innovation in supporting business objectives. Independently solves difficult to moderately complex problems often requiring detailed information gathering, analysis and investigation. Uses management experience and analysis of issues to influence others outside of own job area on policies, practices and procedures. Engages stakeholders and responsible to communicate with parties external to the organization, which may include Government customers or subcontracted vendors. Establishes and/or implements key elements of tactical and operational plans with measurable contribution towards the achievement of results of the sub-function or completion of a project. Responsible for making significant decisions on teams focus and execution. Has hiring, firing, promotion and reward authority within own area. Possesses a practical knowledge in leading and managing intrusion detection system (IDS) and Tactical Automated Security Systems (TASS) domains. May have budget or P&L accountability for area of responsibility or manage resources or elements of the budget. Possesses a bachelor’s degree or equivalent in a business or technical field. Advanced understanding of USAF Security Forces guidelines and regulations (AFI 31-101 and ESS Equipment Siting Guide. Proficient with MS Office Suite, including MS Project.